It has only been a few hours since tickets for Avengers: Endgame went on sale (and therefore only a few hours since we started crying over that “Do you trust me?” scene with Tony and Cap from the new teaser), and the movie is already destroying ticket pre-sale records. We would make a joke about the pre-sale records fading to dust, as if they got snapped by Thanos’ Infinity Gauntlet powers, but that would be insensitive to the many Marvel characters who actually died in Infinity War (and the many more who died offscreen, like Shuri, Edward Norton, and Terrence Howard). Anyway, Deadline says that Endgame topped Fandango’s existing record for first-day ticket sales in a matter of six hours, breaking the record set by Star Wars: The Force Awakens in 2015. Speaking of, Fandango’s whole top five is now entirely dominated by Star Wars sequels and these two most recent Avengers movies, with Infinity War pulling up the rear. 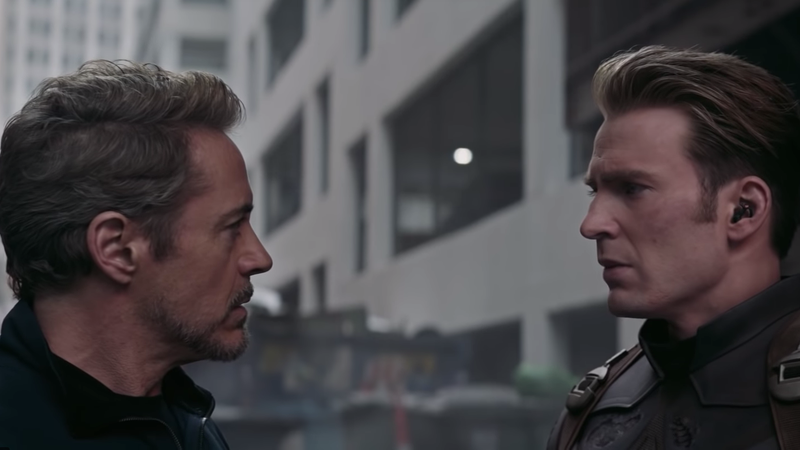 Theater chain Regal says that Endgame is outpacing every other Marvel movie, having already doubled the first week sales for Infinity War (and, again, it hasn’t even been a full day). Online ticket service Atom also says that Endgame has set some records, beating The Last Jedi for the most tickets sold in one hour and tripling the first-hour total of Infinity War. However, the ticket sales might’ve been even better if the fervent demand for them hadn’t completely wrecked multiple online ticket outlets. As noted in that same Deadline story, users on AMC, Fandango, and Atom experienced issues, including error messages and glitches that resulted in canceled orders. You could argue that these sites should’ve seen this coming, especially since they probably knew that Marvel would drop a pretty sweet Endgame teaser along with the opening of ticket sales, but you could also argue that nobody could’ve seen this coming since it literally broke a bunch of ticket sale records. Luckily, the internet is a pleasant, helpful place, so at least we can all trust that the big twists and turns won’t be immediately spoiled for anyone who couldn’t get tickets to opening night.